Starting off as a grassroots movement in the U.S., the current wave of coffee activism has become a global movement binding the industry together. In the wake of #MeToo, stories from professionals in the coffee industry have been surfacing and made alight to push against sexual assault, intimidation, and harassment. And like with any movement demanding change, the more involved, the better the chances of disrupting the status quo. This is Part Two of Coffee Activism. 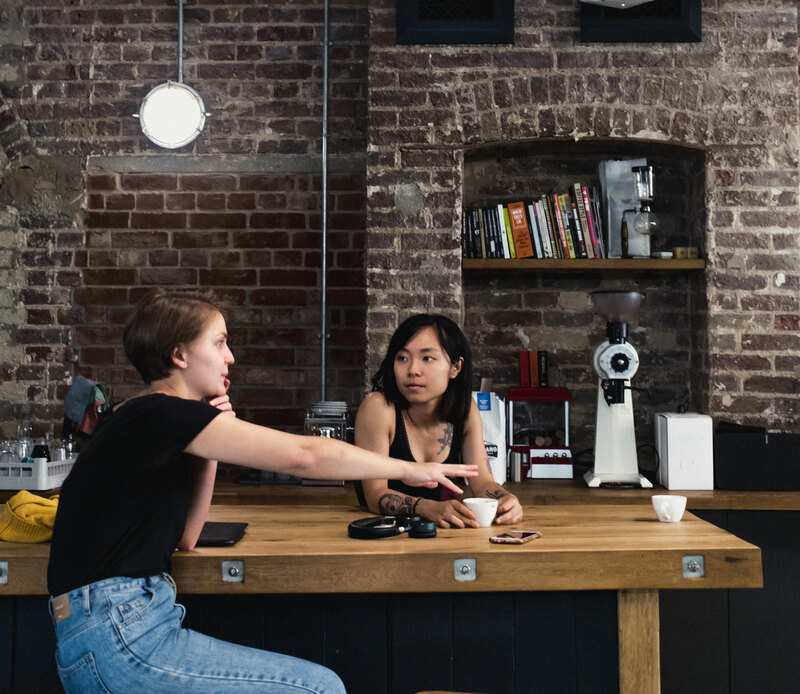 The coffee industry in the U.K. is one that is established, respected, and professional—but it is also one that has for some time excluded women, people of color, LGBQTI+, and non-binary folks. To challenge this, The Kore Directive, a London-based non-profit organization, was founded to aid women in coffee. The organization celebrated its soft launch on November 15, 2018, at Volcano Coffee Works (VCW) in Brixton. The organization is split into two aspects, one of which is a monthly social event where coffee professionals come together and network, regardless of their gender. Panel discussions or guest speakers are also featured at these events to talk about a range of different topics concerning women in the industry. The first event to take place was a no-waste latte art competition held at VCW in conjunction with Oatly on January 10, with other forthcoming events centered on discussions about coffee and mental health, and how female competitors prepare for coffee competitions. Yeo adds that although discussions about gender equality in coffee are starting to take place and people are having more informed conversations, the industry in the U.K. is very much in the early stages. While Kore was starting to challenge traditions in the U.K., another organization, based in Australia, was forming. SAME CUP celebrated its official launch on November 16, 2018, in Sydney. The organization strives to improve the success, empowerment, and visibility of women and the LGBTQI+ folk in the Australian specialty coffee scene. 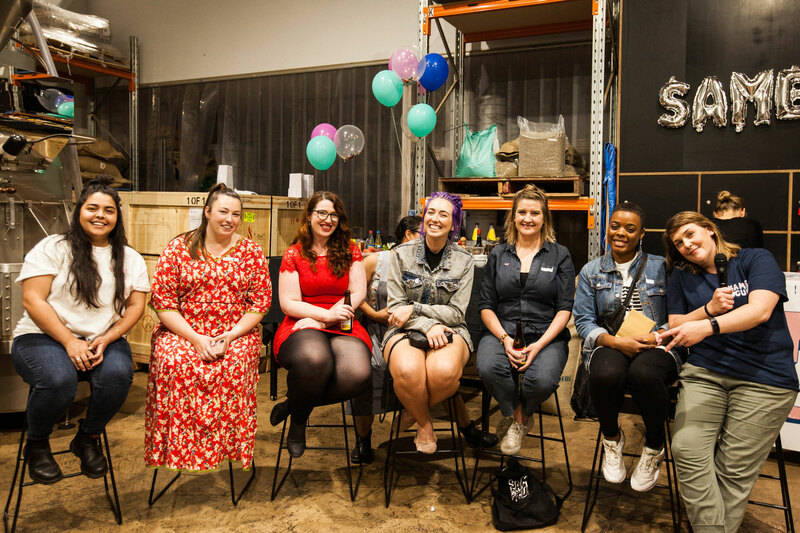 Same Cup Launch Party: (from left) Shirin Demirdag, Jessica Gough, Georgina Lumb, Priscilla Fischer, Aislinn Cullen, Michelle Johnson, and Demelza Jones. Photo courtesy of Demelza Jones. 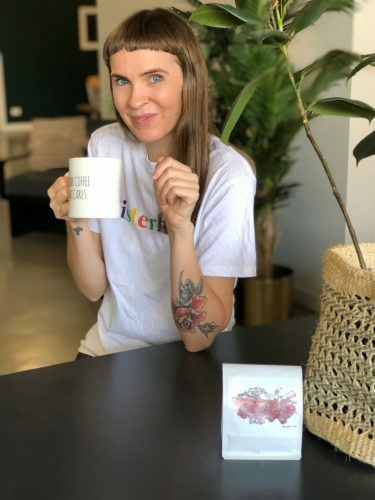 Led by Demelza Jones, former account manager for Five Senses Coffee’s New South Wales team, SAME CUP encompasses events, competitions, spaces, and parties that inspire success through networking, education, and personal development. “The launch party was as much about celebrating the coming together of a supportive coffee community as it was about giving ourselves space to really hone in on what we want SAME CUP to become in the future,” says Jones. Panelists Georgina Lumb, Jessica Gough, Aislinn Cullen, Michelle Johnson, and Priscilla Fisher discussed aspects of training, entrepreneurship, café ownership, green bean buying, social commentary, and roasting. During the event, Jones set up an interview room where attendees were encouraged to share, on camera, their experiences in the coffee industry. When looking back at the interview footage, a few common underlying themes began to appear. “Nearly every woman mentioned ‘being taken seriously’ as a struggle while others also identified ageism and blatant sexism as their experiences,” she says. There were personal stories about hardship and how much some “had to fight to find opportunities to break into entry-level coffee roles either as a person of color or a trans-woman,” says Jones. At the end of the night, it was evident SAME CUP is needed. 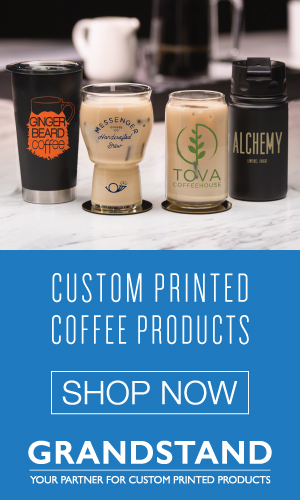 Jones’ 10-year plan is to ensure continuous visibility, equality, and awareness by creating a SAME CUP certification so that cafés, corporations, competitions, and events are held accountable on how they run their businesses; they can then buy the certification to display their dedication to inclusivity and diversity in their work culture. 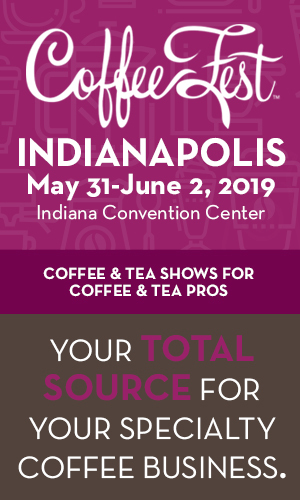 Jones also has plans for a traveling event that focuses on educating and connecting women and queer folk in rural areas through coffee. As soon as Sasha Jade saw Jones’ post on Facebook seeking advice on starting SAME CUP and asking the industry on whether it was needed, Jade jumped on board and became a corporate sponsor. Sasha Jade, founder of Sydney’s Fat Poppy Coffee Roasters, is Australia’s very own specialty coffee veteran. 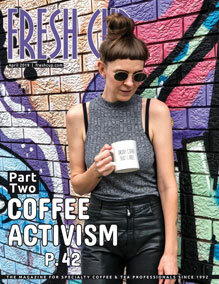 She points out that the current movement of coffee activism is a mere reflection of what’s happening across various industries because of the political climate. Fat Poppy Coffee Roasters founder Sasha Jade. Photo courtesy of Fat Poppy Coffee Roasters. “If we look across the globe, you see women everywhere rising up, protesting, marching, organizing, and trying to build power, to get [sexual harassment and intimidation] to stop,” says Jade. Ultimately, women have been suffering in silence for too long, says Jade, and have been too afraid of playing the gender card. Before starting her business in 2012, Jade had already been in the industry for around 10 years, working across all sectors of specialty coffee including training, teaching, roasting, buying, quality control, and spending time on a coffee plantation for two harvest seasons. “When I went to start Fat Poppy, I had this realization that in the ten years I’ve worked in diverse roles in coffee I’ve never actually had a female boss,” she says. She realized just how much that lack of female leadership had impacted her, and from that moment, she was determined to start Fat Poppy and put everything she’s learned across the supply chain into practice. At this point in time, Jade found herself with “a lot of confidence with coffee knowledge, but with no confidence that I, as a woman could be a female boss,” she explains. And despite the self-doubt, Jade went for it. Jade says her overarching belief is that “if you can’t see it, then you can’t believe it,” which has been her driving force for Fat Poppy. “I think as a consequence of being in business, the women who’ve walked alongside me or who know me, have drawn inspiration, and so it’s like, ‘If she can do it then maybe I can too,’” she says. Looking ahead, Jade is busy building a social enterprise that will offer hospitality training for refugees. Floozy Coffee Roasters, based in Newcastle, Australia, started to fill a gap in coffee—a gap of visible women roasters. Together with their passion for coffee and Kmac’s knowledge of the industry as a former café owner, Floozy’s bright pink brand was born. Its bold and loud marketing techniques and active presence across social media made Floozy stand out and be noticed for what it was: a brand that supports women in all parts of the value chain. Floozy Founders, Priscilla Fisher, aka Cill (left), and Kristy Mujana, aka Kmac. However, that was not the case: The first 10 or so cafés to stock Floozy were all male-owned. Since starting Floozy 18 months ago, the founders set a profoundly important intention: recognizing the inequality at the origin level. Another area where Floozy wants to further support women is in competitions. The focus this year is also to expand their offerings, as for the past 18 months Kmac and Cill have been renting roasting spaces off other people—but soon, they’ll have their own roaster in Newcastle. “[The roaster] has just landed in Australia, we’ve got a loan, and it’ll [soon] get installed,” says Cill. Floozy’s new roasting space will also be utilized as a training ground for women wanting to learn to roast. While working on her master’s, Cill also started to do some work with the International Women’s Coffee Alliance (IWCA) to formulate gender-segregated data at origin, because at the moment, such research doesn’t exist. IWCA, which leads women’s empowerment in the international coffee industry by supporting a global network of independent, self-organized, self-governing organizations, is extremely under-funded. 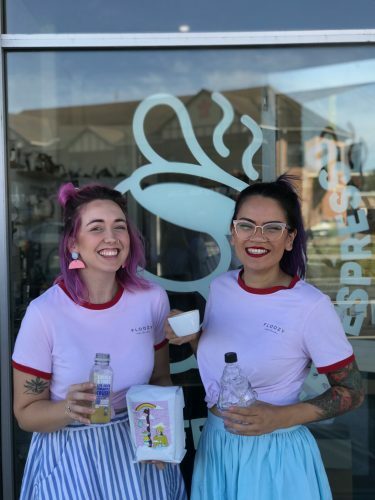 Therefore, Floozy has been working to organize fundraisers to help raise money, including helping to create a program for International Women’s Day on March 8, where 30+ cafés across Australia raised money for IWCA’s Research Alliance. Through their collaboration, Floozy and IWCA are working towards a stronger future for women in coffee. “This is finally a time where women are uniting in their stories,” says Floozy. And as women and marginalized professionals in coffee continue to unite, the future of specialty coffee is bright. “The more diverse voices we have, the stronger specialty coffee will be,” says Jones. 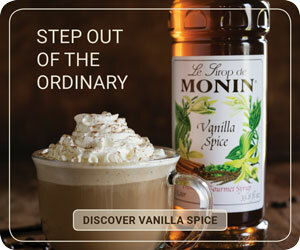 for coffee professionals around the world.